Simplicity and usability are very important to us here at stSoftware. To make your life easier we have optimised some of the layouts on your control panel for the iPad and iPhone screen sizes. 1. Moved Navigation buttons into top right section of screen on iPad. 2. Changed the Menu on IPad and IPhone to be a drop down rather than extending the screen. 3. Added spacing to margins to reduce clutter. The Demo App utilises new technology and libraries such as framework7. Advanced keyword searching is now available on PDF, WORD and HTML files once automatic indexing is enabled and the indexing process has been completed. What changes to the SPF record are required to send emails via stServer? In response to 13D EU legislation amendments and the APA 1988 overseas act required by foreign law. stSoftware does not transfer any personal data to a third county or international organization. If stSoftware did transfer personal data it would in accordance with the commission ensures an adequate level of protection. The commission on an ongoing basis monitor developments in the third countries and or international organization that could affect the functioning of decisions. stSoftware takes many precautions in ensuring that your personal data is safe and secure at all times. Before, during and after collecting data, the individual will be notified that their personal information has been recorded. The user is notified before entering personal information and after in the form of a pop up. This is to ensure the individual is aware their information has been recorded into the system. stSoftware collects personal information for billing, sales and support. stSoftware meets or exceeds principles layed out in Australian Privacy Principles Privacy Act 1988. 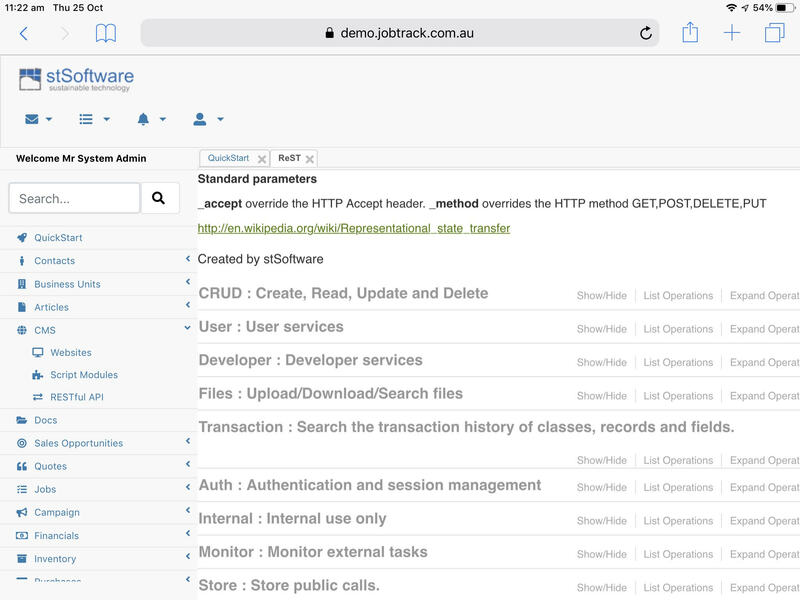 Your Privacy is very important to us at stSoftware and we abide by all rules laid down by the APP (Australian Privacy principle) 5.2 Collection of Personal Information. In compliance with APA Principle 5.1 you will be notified when your Personal Information is or has been collected. stSoftwares to the best of our ability will make sure the user is aware of this recorded data in the form of a Notification . Timesheet App report allows users to regulate and monitor jobs assigned to them. 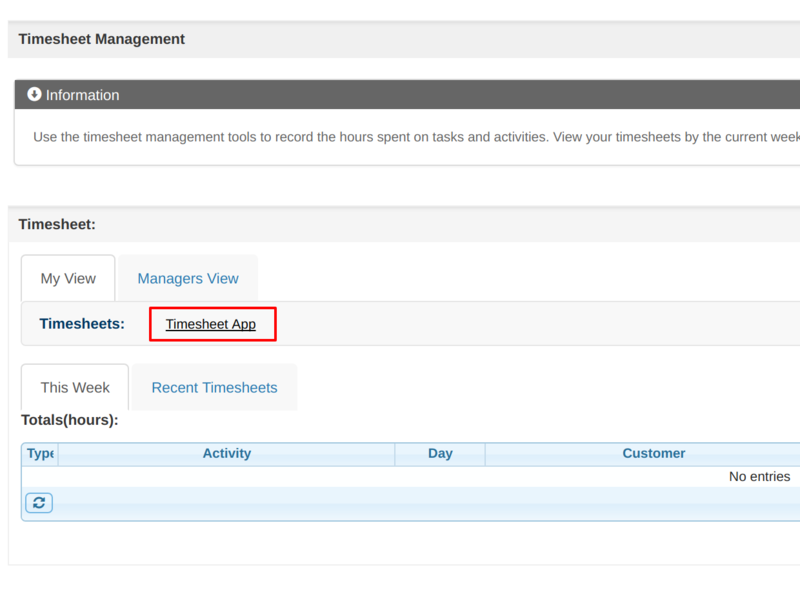 The Timesheet App is located under the Timesheets tab in the control panel. 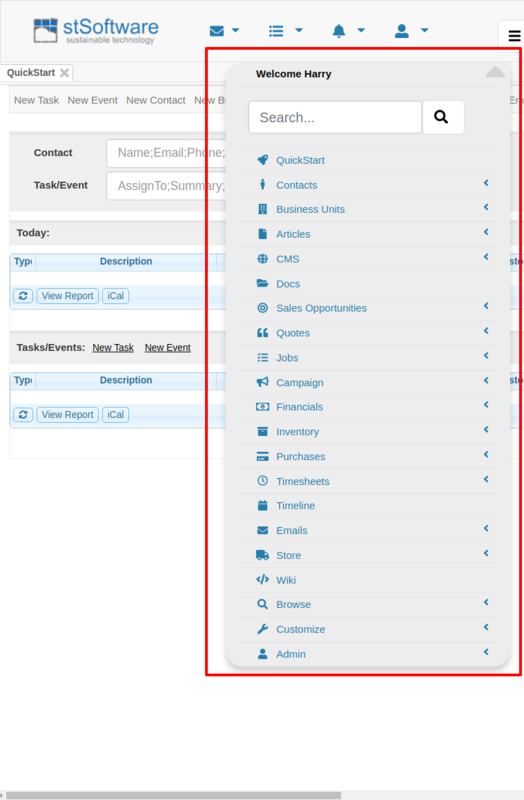 Clicking on Overview and then the Timesheet App link will cause a pop-up taking you to the application. The Transaction Report is a powerful and useful search tool allowing site Admins to keep tabs on any changes made across their system. This tool allows Admins to clearly see what changes were made, when they where made and who made them. Having this clarity allows for better information management as specific changes can be tracked along with having the ability to pick and choose what information is relevant to you. How to set up in memory database? Many client systems have for a number of years used "in memory" or "private" databases for the engine/app layers. Private ( in memory) databases can be used for the engine and application layer databases which are effective static between releases. Private ( in memory ) databases allow for many performance enhancements and reduces downtime when upgrading servers. Private databases should not be used for data layers ( ones that we want to keep data between releases). How to call ReST services from Excel? Progressive Web Apps (PWA) offer faster, leaner cross platform (iOS/Android) app development with the look&feel of a native app but with the maintainability of a web site. 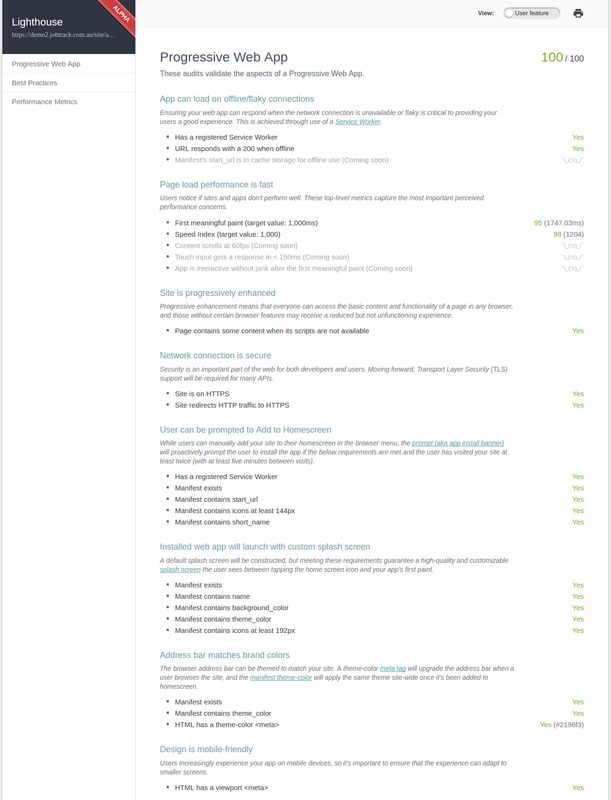 PWA templates have been integrated into our CMS. PWA are a game changer for old native app development with it's lean low cost development life cycle, automatic security updates and rapid design tools. The user experience is smooth & consistent with offline access. The CMS has now integrated support for Progressive Web Apps ( PWA). PWAs are reliable, fast, and engaging. They can be accessed when the user is offline or on unrelaible networks. How compatible are the template Progressive Web App ( PWA)?